Nike are bringing back good old leather football boots with the introduction of their new premium collection, Nike Tech Craft. The collection places a thin layer of leather in high ball-contact areas (the medial and lateral sidesof the forefoot). 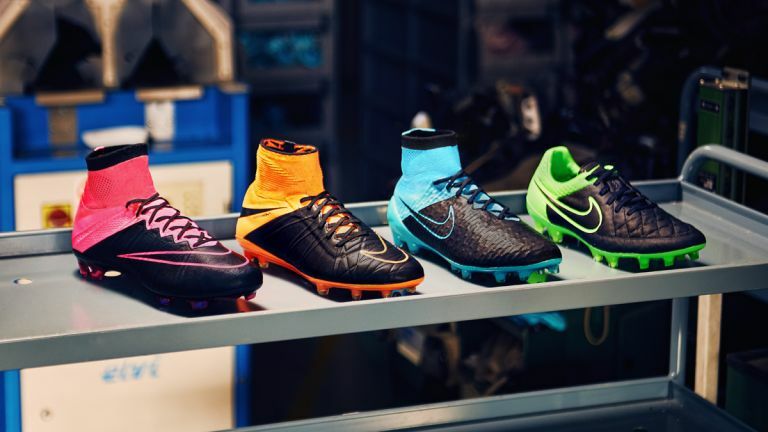 Nike's design team, who grew up wearing leather boots, began exploring the potential of fusing leather into Nike's iconic boots in 2014. This is becausethe team still held a high regard for the material, and the soft touch associated with it. Despite the retro material, the Tech Craft range will continue to offer Nike's hi-tech innovations such as Flyknit and Dynamic Fit Collar - which combine to create a lightweight, comfortable and secure football boot. Nike has chosen four boots from their current range to receive the leather touch - Hypervenom, Magista, Mercurial and Tiempo. Each boot remains true to its original design and performance tributes, but now has the bragging rights with the classic appeal of soft-touch leather. The boots also include Nike's All Conditions Control (ACC), this provides enhanced ball control in dry and wet conditions by maintaining the same level of friction. Nike Tech Craft boots are available today (August 11) from the Nike Football App and August 13 on Nike Online.